Oh dear, the banks have been caught at it again. This time it is Barclays; the one bank that looked strong and seemed to give the impression that it had managed its books well to escape a public takeover. How looks are deceiving. Traders under Bob Diamond’s watch were blatantly manipulating inter-bank lending rates to ensure a larger profit margin. 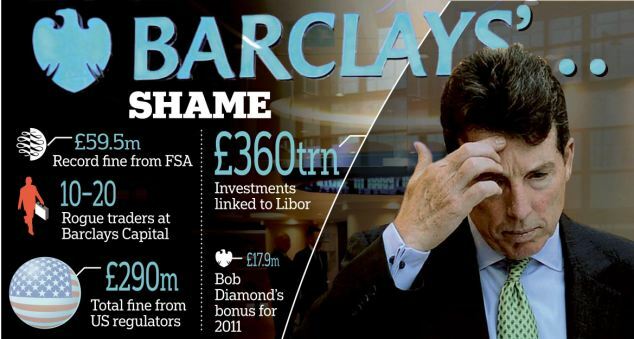 Wasn’t it Bob Diamond who spoke about cultural reform in the banking sector following the global financial crisis? How the pot is calling the kettle black. The top 5 women in the Sunday Times Rich List are said to be there by default, meaning that they are there through divorce or inheritance write Jane Martinson in the Guardian. In fact the 8th woman in the list, Dame Mary Perkins, founder of Specsavers, is the first woman to accumulate her fortune of £870million through her own business venture and is 84th on the overall list. 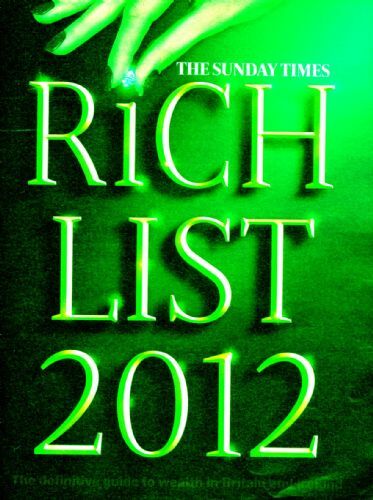 Apparently, there are no men in the Sunday Times Rich List who have amassed a fortune through marriage or inheritance. What none of them have inherited a family business that their father built???? Martinson suggests that this is no triumph for feminism but I do beg to differ?